Congratulation to the OHHS Art and Design students who will be exhibiting artwork at the 2018 University of Cincinnati, Blue Ash Campus, Ohio Regional High School Juried Art Exhibition! 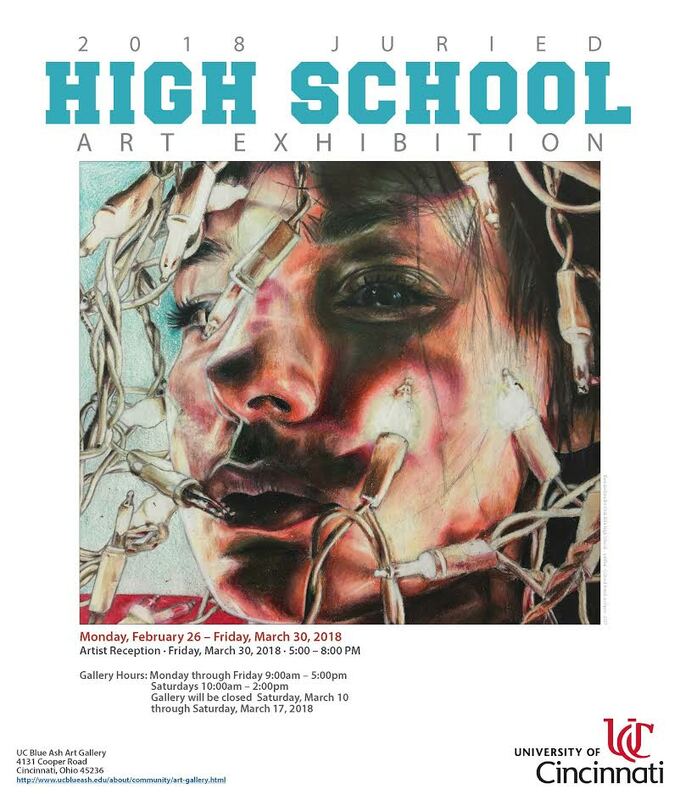 The UCBA Art Exhibition consists of 79 artwork produced by 67 high school artists, mentored by 15 instructors representing 8 different high schools in the Greater Cincinnati area. A special congratulations goes out to Kara Heckmuller on having her work selected for the show postcard AND winning the Juror's Award!